**Commanding, luxurious, and sharp. 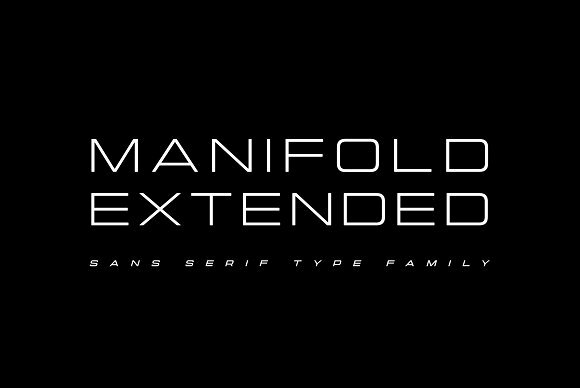 ** Manifold Extended is a wide variation on the classic Manifold font family. Its clean, elongated shapes are both technical and elegant. An excellent typeface for titles, logotypes, user interfaces, and short texts. A font description published on Monday, July 16th, 2018 in Fonts, Sans Serif by Andrei that has 1,709 views.